With another three Premier League points in the bag, cup competitions now take priority, as United host PSG in a tie that has been turned on its head since its conception. As Valentine’s Day approaches, Ole Gunnar Solskjær’s romantic memories of this European competition will no-doubt mentioned a few times; whereas Thomas Tuchel has not been so lucky. The Champions League is back, with two powerhouses set to take the stage under the floodlights at the Threatre of Dreams. Cue the music. Although playmaker Marco Veratti has overcome injury, PSG will be without three key players for this leg – as Neymar will also miss the tie at the Parc de Princes (Wednesday 6th March, over three weeks away). Tuchel has struggled to be positive, calming that his side are now on ‘Plan D’. Opting for a 4-4-2 at the weekend, Tuchel’s regular 3-5-2 may be scrapped due to a lack of attacking options. Dani Alves has featured in midfield this year, possibly being deployed as a winger ahead of young German by-trade centre back Thilo Kehrer. Ángel Di Maria will return to Old Trafford for the first time since departing for France, and the Argentine is set to receive a rough reception. Teenage sensation Kylie Mbappé has lit up Ligue 1 yet again this season but scored at Anfield earlier in the campaign. Kehrer and Veratti are one yellow card away from suspension. Leandro Paredes could make his Champions League debut for the Paris side after being signed last month for an estimated £34.9m. VAR will also be used for the first time in the competition’s history to resolve ‘clear and obvious’ errors. (4-2-3-1) Buffon; Kehrer, Silva, Kimpembe, Bernat; Veratti, Marquinhos; Dani Alves Draxler, Di Maria; Mbappé. 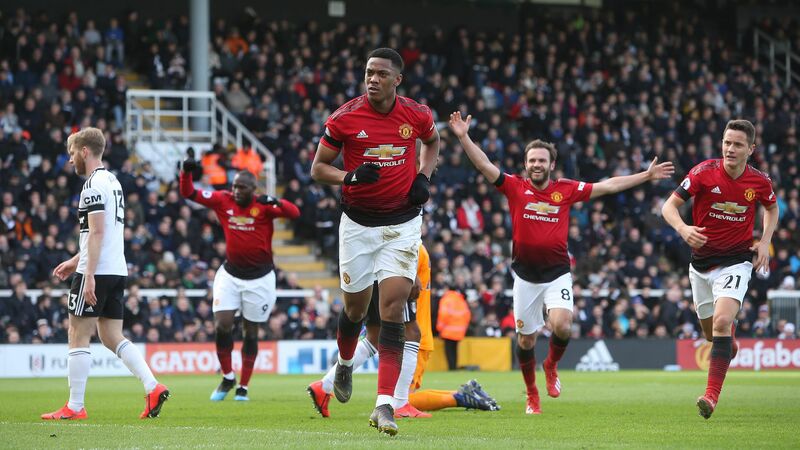 Things went just about as well as possible for United at Craven Cottage at the weekend as they returned to the top four, brushing aside Fulham with ease thanks to Paul Pogba’s strikes sandwiching a magnificent Anthony Martial goal. This affair marks the first of three imperative games for the reds as they bid to maintain their momentum in three different competitions over the next 12 days. Victor Lindelöf was left at home on Saturday and was rumoured to have had a knock but the ‘Iceman’ trained on Monday. Ashley Young became the latest player to sign a contract extension, this time for just one more year. Martial played the role of translator for his manager on Monday, after being hailed to have the same potential as United legend Cristiano Ronaldo. (4-1-2-1-2) De Gea; Young, Lindelöf, Jones, Shaw; Matić; Herrera, Pogba; Lingard; Rashford, Martial.